I’m not much of an iPhone 3G fan but after looking at this, I have to admit it does look really nice. 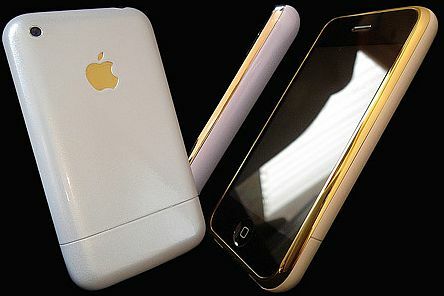 Check out this 24 Karat Gold iPhone 3G(8GB) which is being sold on eBay for a buy-it-now price of $1,016.72. The phone is brand new and comes with the original box and accessories. Click here for the eBay listing.